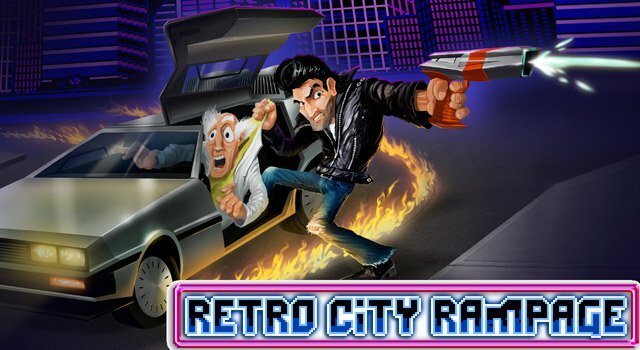 Sony rolled out the final 2012 addition to the Instant Game Collection when the PSN updated earlier this week, revealing that the 8-bit throwback Retro City Rampage is now free to download on the PS3 and Vita for PlayStation Plus subscribers. The only new addition to the PlayStation Store in this weeks update was the once-Xbox exclusive game Oddworld: Munch’s Oddysee HD. This launch is only for the PS3, however, the PlayStation Blog promised that the Vita version will arrive “early next year“. Outside of the Instant Game Collection update and the release of Munch’s Oddysee, Sony’s Holiday Essentials Sale kept on trucking by providing a 30% discount — up to 50% off for PlayStation Plus members — on five additional titles; Duke Nukem Forever, Journey, Killzone 3 Multiplayer, Mafia II, and Mortal Kombat. The Holiday Essentials Sale ends on December 31, 2012 (the same goes for several of the other discounts), so make sure to get your purchases in before the new year. Finally, it is also worth noting that Capcom’s Resident Evil 6 has been permanently marked down from $60 to $40 on the PlayStation Store.